There is a moment when love opens up inside of you, and that makes all things possible. This love is Our light, the light of your Mother Father Spirit, God Goddess of All-That-Is. 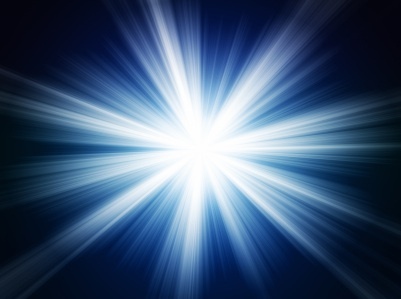 This light exists inside of you as a star-like structure of your God Goddess Self, and it is always shining and guiding you forward on the terrain that you may traverse, on whatever pathways you are destined to follow. "Trust the way; trust the deepest level of feeling inside of you that arises from the light, of the Mother Goddess and Father Spirit. Trust that these feelings are directing you, inside of you, on a course of peace, of love, and the expansion of your being." The feelings that are centered within your Star God-Goddess Self may not always direct you towards outer activity and goal directed behaviors. The connection to the soul and heart, and developing your connection to the deep center of divine love within you, needs to come first. Such a deepening of your connection to Us can occur through sitting in the quiet of a peaceful inner sanctuary that is filled with Our light and loving—in whatever way you choose to imagine, feel, or connect to this through your meditations. From a state of inner balance and connection to Our light, all the rest will follow and come into being. This Star of hope, this Star of light, is not really an external marker that is directing you through the terrain before you; it is rather a point of light within you, that is so powerful and strong that its stirrings and light reverberate throughout your existence, your heart, your soul feelings, and consciousness. As you experience such fullness within, as you become so filled by Our light and the Star that is shining within you, this inevitably will spill forth into your life. This light will directed every action, every word, and every moment of your existence (sometimes without you even realizing it), thereby assisting you in the fulfillment of your divine purpose here on earth. Your primary purpose will always be about love, about fulfilling your own loving for yourself. This is true for every soul on this planet. As you begin to feel this Star of light, within you, you then open the door to fulfilling your secondary purpose: which is sharing this love, this light, that you have found within, and allowing this starlight to shine forth and bless this earth, in the ways that you as a soul are destined to bring forward—that may be spiritually, creatively, or simply by sharing your love; all is of Spirit, all is of the light. This Star-Self is not something you have to become or have to strive for, it IS already a part of you; it is your divine imprint, it is the truth of who you already are. This Star-diamond and the rainbows of its expressions have simply been waiting for Our love to shine into you, as you open to receive and connect to Our center of light and loving within you, so that, like a flower you open through this light and are able to reveal the goodness and the beauty of your light and inner being. Through Our reality of love your life takes on a more expanded meaning, a universal meaning, and you recognize that you are simply here to be your Star of light. You purpose is to receive Our light, and then, when you feel ready, you will begin to share your light with others and this world, through the expressions of your heart and soul. I am the Divine Mother Spirit that birthed you into existence and into life, and I am here, now, to birth you into living the full consciousness of your Spirit, your Star-diamond Self, on earth. You are destined to be here, to glisten and radiate outward the light that you are, and have found within. I have a purpose for you, for each of you, and I am here to share My light and My love with you in all ways, so that this may awaken your Star Self, that has simply been waiting to receive Our love. You have simply been waiting for the time, the divine right moment, when you would remember the eternal part of your being and birth that into your existence. This is the way for all souls, on this new level of consciousness that is emerging on this planet. This potential lies within everyone; so, as the seeds of truth are planted and as love is received, it may be that each soul may open to the awareness of the Star within them, so that all on this planet may radiate the light that is found through merging with the Star Self within.